A landscape design is, as we called it, 7 dimensional. In addition to the traditional three dimensional design, the designer should take into account of the sound, the movement, the smell and the elements of the time. 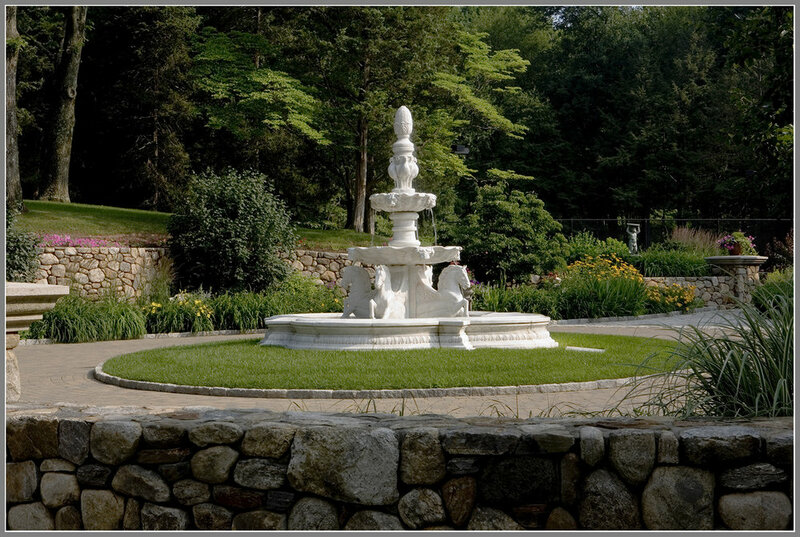 Water features add additional dimensions to the space with movement and soothing sound. The forms can be fountains, waterfalls or even bubbling water. The material can be architectural stone to any natural piece of rock or even cast concrete. All our water features were designed and constructed by Ching Lin, the owner. We have wonderful masons but the waterfalls is more than a craft. It is a piece of art which requires special vision. It is the artistic touches that distinguish us from the rest of the pack. Before picture- cover it up.